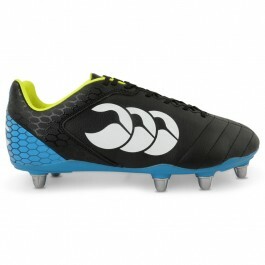 Get the latest Stampede Club 8 stud rugby boot from Canterbury. 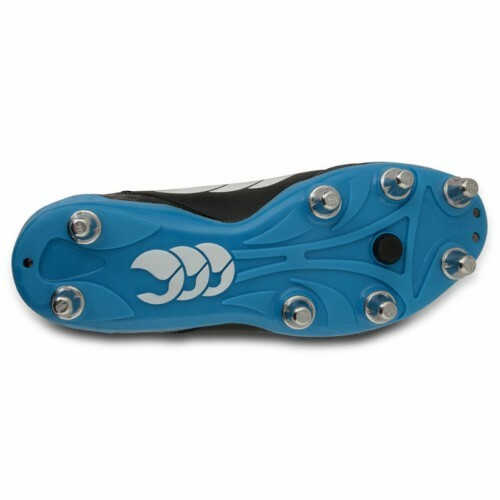 This striking boot offers an excellent fit that is designed specifically for forwards positions. The 8 stud construction and reinforced zones on the outsole, offers excellent durability, flexibility and stability in the foot. 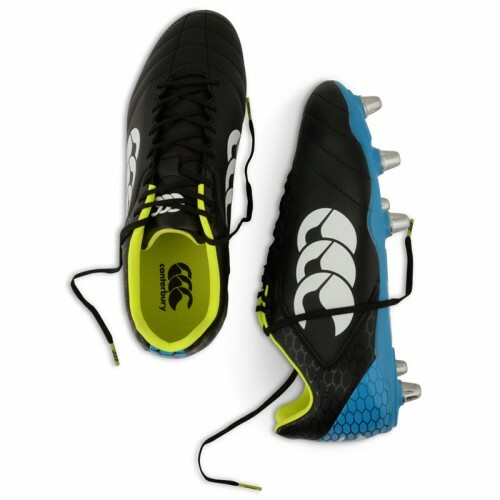 This Canterbury Stampede rugby boot offers outstanding fit and support throughout the boot with PU micoperforation heel lining that is non-absorbent with great comfort and durability. 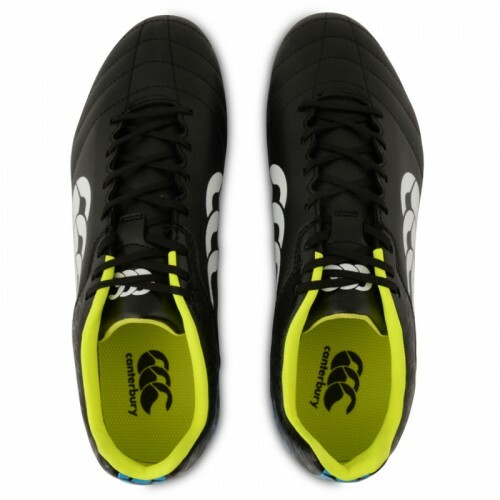 Featuring a concealed ghilly lacing system, the new Stampede rugby boot enhances comfort and support with great cushioning. Improve your game and own yours now.